Finance Minister presented Union Budget 2013-14 in parliament. 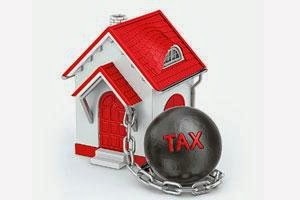 In the Union Budget 2013 - 14 a new Section 80EE inserted in Indian Income Tax, 1961 for additional deduction of interest on housing loan. An assessee able to take additional interest deduction on housing loan from Assessment Year 2014-15. Loan has been sanctioned for house by any financial institutions from 01April, 2013 to 31 March, 2014. Loan amount sanctioned for acquisitions house property does not exceed Rs.25 Lacs. There are no other house property on the date of sanction housing loan to assessee. Value of house property not exceed of Rs. 40 lacs. Buyer of house property is the first time buyer. Note:-This is a brief disclosure on Addition Interest Deduction House Property Loan under Section 80EE and under Section 24(b) of India Income Tax Act,1961. LoanRaahi give you big Loan Against property for your business and personal needs at lowest EMI for maximum 15 years with easy and speedy documentation.